ajabiz is a combination of CRM and email marketing services. Which means you can not only store your e-mails like in Highrise or Salesforce, you also have e-mail functionality like in MailChimp and GetResponse. 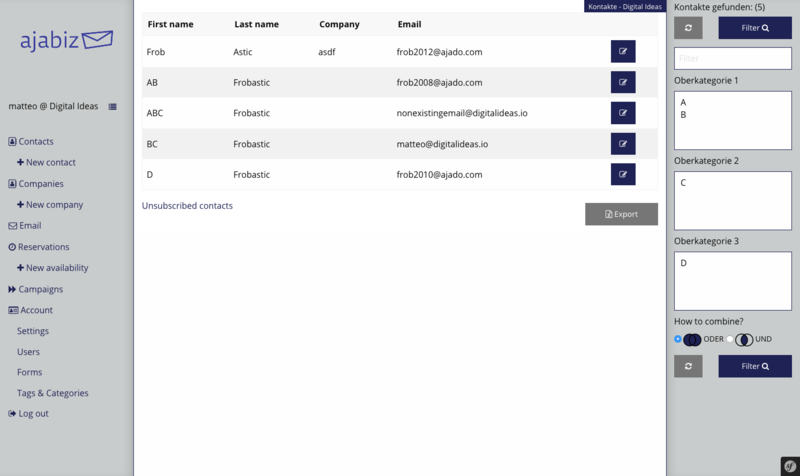 We started developing ajabiz back when we researched CRMs for a client and were unsatisfied with their e-mail sending abilities. All prices exclude 20% USt./VAT for: customers in Austria and customers in the EU where reverse-charge does not apply. How can we prepare for our meeting?